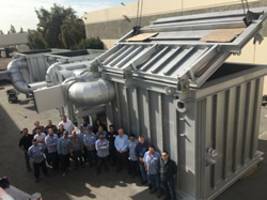 BREA, CALIF. (PRWEB) JANUARY 03, 2019 - Baker Furnace announced the shipment of a custom waste incineration system to a pollution control company. These incinerators will be used to burn off waste after a 12-hour process. The system is designed with three gasification chambers that can burn 10 tons of waste a day per chamber. The waste incinerator is being installed in the Republic of the Marshall Islands in the Pacific Ocean. The maximum temperature rating of the waste incineration system is 1900°F. The proximity to the ocean causes an issue to salt contamination. The system is designed to withstand the harsh salt environment by using a special epoxy paint on the exterior. The harsh environment had to be considered on the selection on all components including but not limited to, diesel firing burners, hydraulics and conduit runs. 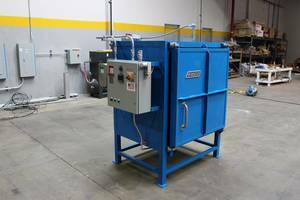 Baker Furnace, Inc. has been designing, engineering, and manufacturing industrial ovens, pollution control equipment and other heating equipment since 1980. 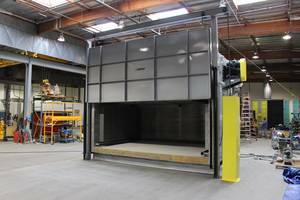 Their custom and standard equipment are used for a multitude of applications including heat treating, finishing, drying, and curing. Many of the industries they serve require specific temperature uniformity and equipment performance documentation. Their experienced engineering team can meet even the most stringent standards for their customers’ equipment. For more information visit http://www.bakerfurnace.com. Baker Furnace is owned by Thermal Product Solutions (“TPS”), a leading American manufacturer of custom industrial ovens used for heat treating, finishing, drying, curing, manufacturing automation and process control. TPS is a global leader in thermal processing products and test solutions with brands including Blue M, Gruenberg, Tenney, Lindberg, MPH and Wisconsin Oven. 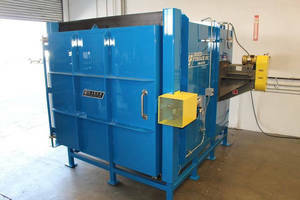 For more information on equipment solutions from TPS visit the website at http://www.thermalproductsolutions.com.